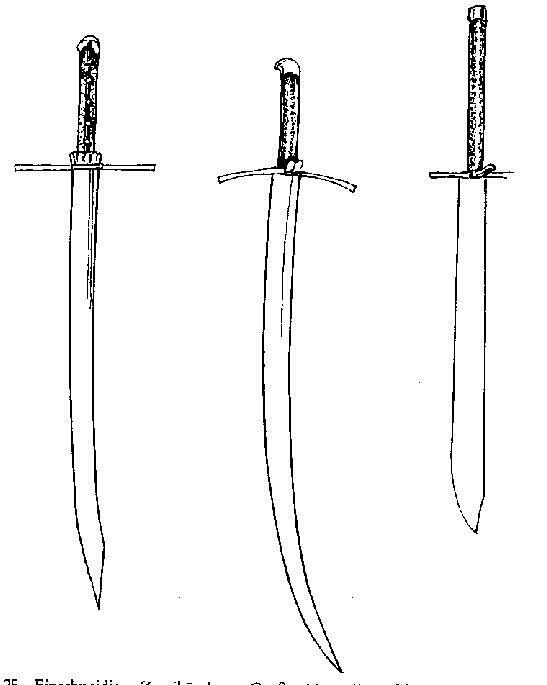 I've been trying to find any information on the messer in the attached pictures (far right in illustration). Emailing the museum yielded no results, and I'd like to know if any members here have more information on this very interesting weapon. I've managed to find a few pictures, but nothing more. If anyone has additional photos, measurements, weight, etc. it would be greatly appreciated! It seems there is not much information available about that particular messer - the other two have been published more frequently. It's inventory number is A 173, if that helps to search for more information... It is thought to be Austrian and from the end of the 15th century, and a very old museum catalogue describes it as weighing "seven pounds" - that's the only measurement I've ever come across. Interesting. Thanks for the lead! Does anyone have info regarding the other two? The three are drawn to scale, so that would at least give an estimate of the size and proportions. Seven pounds would be a truly massive sword if accurate...one would think enough to constitute a ceremonial weapon had it not had such a long handle.